Guidance provided by an experienced person, it is the basis of the Mentorship Programme organised under the auspices of ITTF Development, Education and Training. 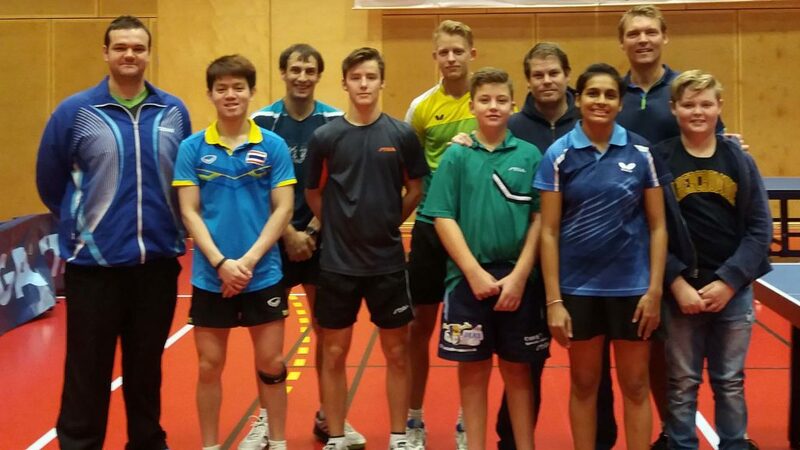 One coach who benefitted from the initiative in 2016 was Brazil’s Jorge Fanck; he visited Falkenberg in Sweden where he was able to learn from Peter Karlsson, the proud owner of no less than five World Championships gold medals. Jorge Fanck, 30 years old, a full-time coach, was present at the renowned club from Wednesday 12th to Sunday 16th October. Recently, he has been advising the Brazilian Hopes age group players and is not without experience; he has been coaching for some 14 years, the fascination started in teenage years. He is a member of the Fast Track Programme promoted by the Brazilian Table Tennis Confederation and has worked closely with Frenchman Michel Gadal and Portugal’s Ricardo Faria; both having advised on the “Diamantes do Futuro” project for players aged nine to 15 years of age. Likewise, Peter Karlsson has also worked in liaison with Brazil. Clearly Jorge Fanck departed Sweden richer for the experience; a most worthwhile venture was concluded.